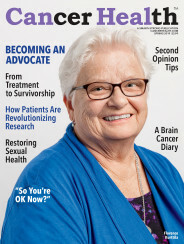 Here are some groups and programs to help ease the transition from treatment to survivorship. The results describe the challenges people ages 18 to 39 face during and after treatment. Not only was he diagnosed with testicular cancer at 23, but when a lung tumor resisted treatment, Daniel needed total lung removal surgery. The major goal is to understand why the incidence of disease is increasing in young people, for the purposes of prevention and treatment. Today, 16 states require insurance plans to cover fertility preservation care when treatment like chemotherapy risks infertility. Nancy Balin raises testicular cancer awareness through her ‘Family Jewels Foundation’ in memory of her stepson, Jaimeson Jones. The beauty industry may be opening their eyes to cancer and beauty, but it is only really superficial. U.S. Preventive Services Task Force endorses skin cancer prevention counseling for children and young adults.